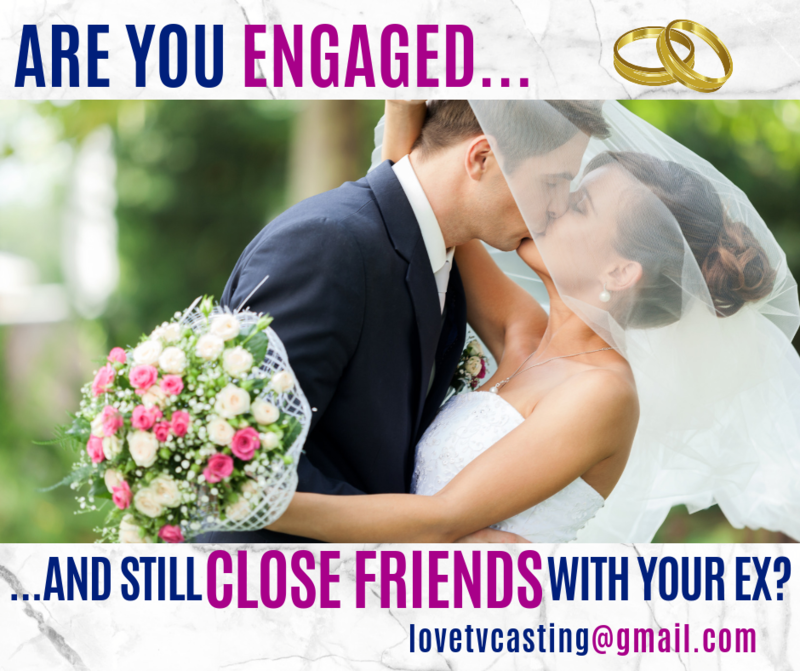 Award-Winning production company and major television network are seeking engaged couples to feature in an all-new documentary television series. Love ebbs and flows and the people we once loved evolve, shift and change. Get paid, get help with your wedding and take part in a once in a lifetime tv opportunity. Are you (or your significant other) still close with your former-boyfriend or girlfriend? NOTE: If you are you not yet engaged BUT in a serious, long-term and committed relationship and meet our criteria, please still apply! Name/Age/Location (City & State) brief bio about your current and past relationships as well as recent photos and contact info. This casting notice was posted by: Paul Head.